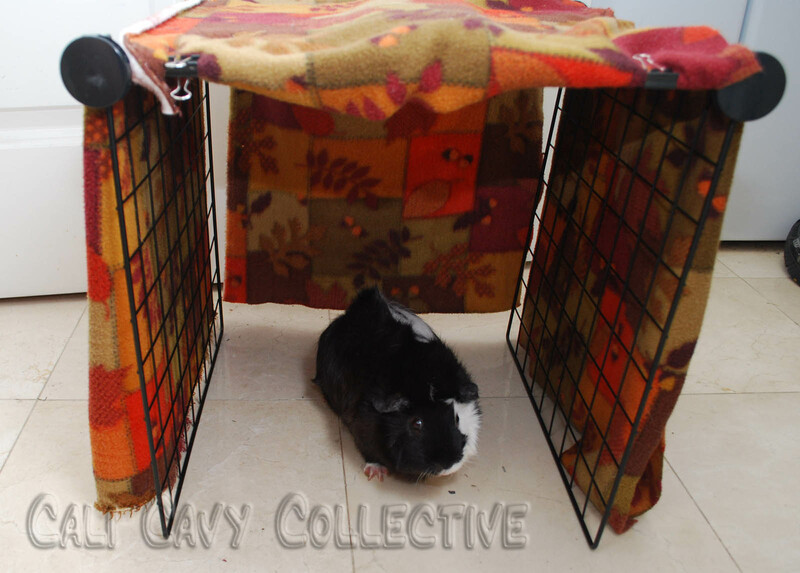 Have extra grids and fleece lying around from building your guinea pigs a C&C cage? Don't let those spare parts go to waste, try building a fun cage accessory for your cavies to play and hide in! 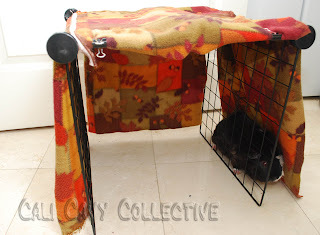 Today we wanted to share our easy DIY hideaway tent. Plus, it's practically free. 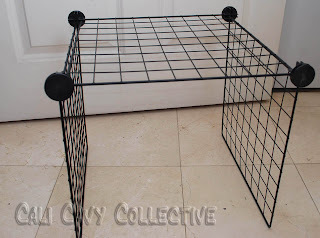 All you need for the frame is three C&C grids and four connectors. Simply connect them as shown in the picture below. 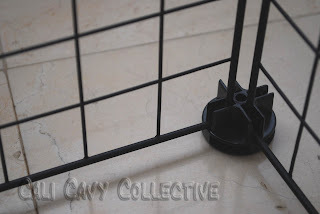 A closeup of how the grids fit into the connectors. When you're done, just flip it upright (you can add a back if you want, ours does not have one because our pigs enjoy running through them). 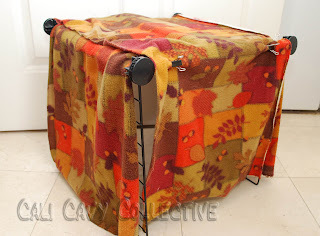 Cover the sides and top with pieces of fleece. If you do not have any on hand, fleece is inexpensive and can be purchased at many fabric and crafts stores. 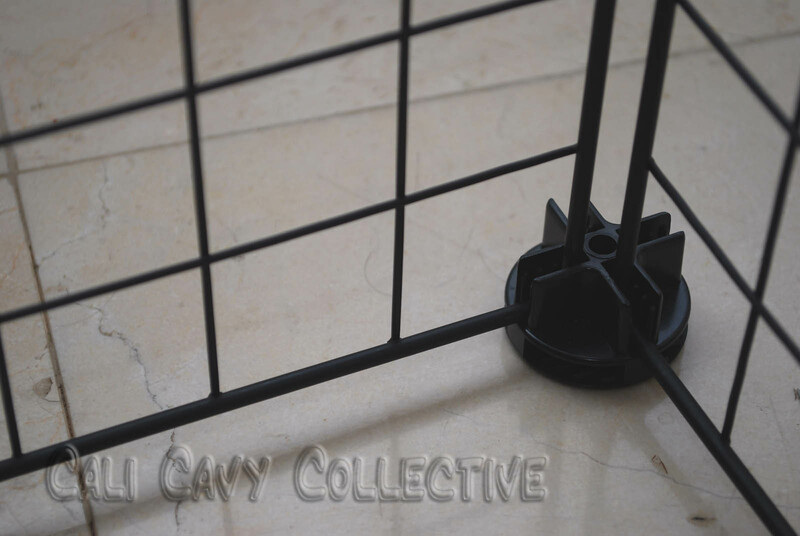 Ours is cut to size and secured with binder clips. This makes the fleece easy to remove for washing. 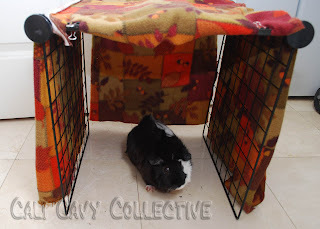 Piggies have fun hiding in the folds of fleece, like Revy is doing in this photo. This is what the hideaway tent looks like from the back. There you have it - a quick and easy DIY toy for your piggies to enjoy! 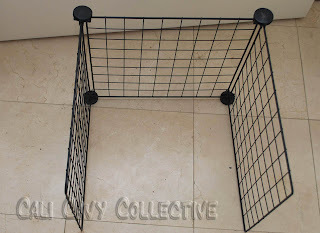 These can be placed anywhere - over a pigloo, over the food bowl, or even in the middle of your cage like an obstacle course for your pigs to run through. 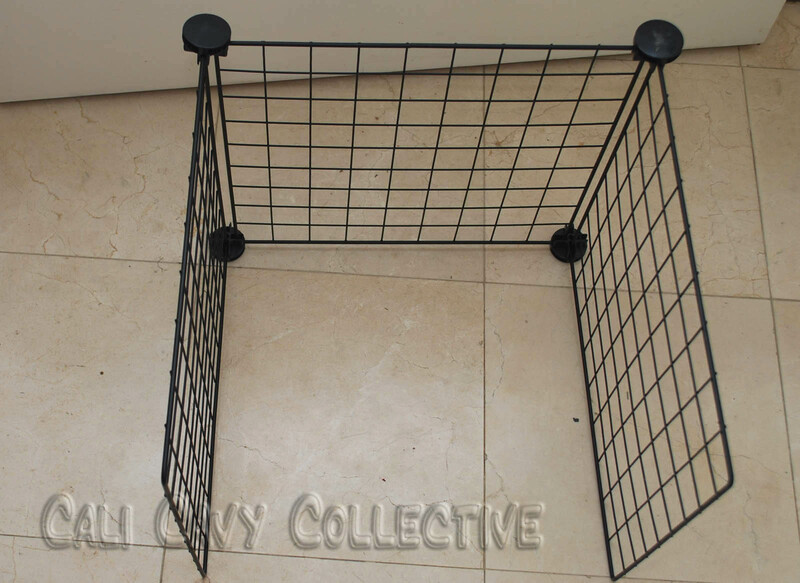 Belka in particular loves running figure eights through these.